We Are Your Dentist in Hickory, NC Call 828-322-6226 today! 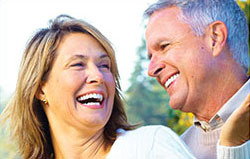 Are you looking for a dentist in Hickory, NC? Perhaps it has been a while since you’ve had a routine dental cleaning? 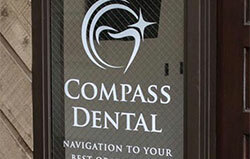 If so, look no further than Compass Dental for comprehensive dental care in one office. Take a moment and read some of our patient reviews! Dr. Ryan Sigmon and team welcome you and your entire family to experience our full range of specialized services for any dental condition. From adult and children’s dentistry to dental implants and teeth whitening to cosmetic smile makeovers – we can do it all! We offer a low cost limited exam if you are experiencing tooth pain or discomfort, and we are available to take care of your dental emergencies in a swift and painless manner. If you are anxious about dental appointments, Dr. Sigmon is also trained in sedation, which can be used for routine cleanings as well as advanced dental procedures. For your optimal comfort, multiple procedures can be performed in one visit under varying degrees of sedation. We would like the opportunity to meet with you and help you not only brighten your smile but also maintain its health and well-being for many years to come. We take a personalized approach to each of our patients, taking the time to get to know you as a person to discover your needs and expectations from dentistry. After earning his bachelor’s degree from Lenoir-Rhyne University in Hickory, Dr. Sigmon earned his dental degree from the Medical University of South Carolina. Thereafter he completed his general practice residency at Palmetto Health Richland in Columbia, SC. 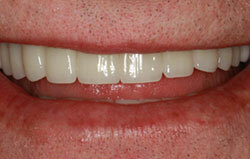 He is also a member of the American Dental Association and other various prestigious dental organizations. Our payment options are designed to meet your individual needs. Whether you are paying by credit card, personal check or cash – we accept most forms of payment. If you need financing, we also have flexible, interest-free monthly payments. Please inquire about our application process in our office. Filing with your insurance provider? We file your paperwork and take care of the claim to ensure you receive maximum benefits. Do you need a second opinion from a dentist in Hickory, NC? If you are looking into a full dental treatment plan, cosmetic dentistry procedure, full mouth reconstruction or a simple extraction, we are always available to provide a second opinion. While most procedures are standard in the industry, each dentist in Hickory and the surrounding area may craft your plan of care in a slightly different way. If you have any questions, we are more than happy to help you choose the right dental care approach. To learn more about the wide range of services that you can receive from our dentist in Hickory, NC, please do not hesitate to contact us at Compass Dental. Simply dial (828) 322-6226 or email us today and schedule an initial consultation. We look forward to meeting you!